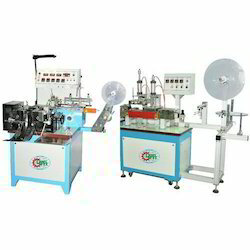 We are known to offer the Automatic Label Cutting and Folding Machinery to our clients. The LT-586 + LT-168 model is suitable for use as a dedicated. It is designed for folding with 4-sides end and end fold. Looking for Automatic Label Cutting and Folding Machinery ?